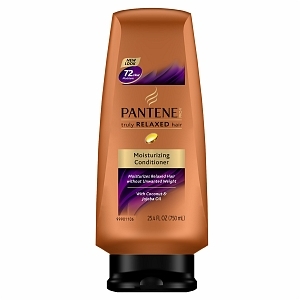 Several years ago Pantene made a big splash with their first ever mass consumer hair care line for women of color, focusing on natural and relaxed hair. for natural (e.g.tightly curly to-coiled ) hair. 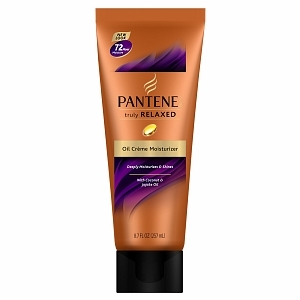 The Pantene Pro-V Truly Relaxed promises so many great things for relaxed hair: 72 hour moisturize, shine, compatible with hair that is both relaxed and color treated, preventing breakage and promoting healthy hair growth - so read on to find out how well it did! There are four products in the line: Two Pantene Pro-V Truly Relaxed Hair Lightweight Shampoo & Pantene Pro-V Truly Relaxed Hair Intense Moisturizing Shampoo, Pantene Pro-V Truly Relaxed Moisturizing Conditioner, and Pantene Pro-V Truly Relaxed Hair Oil Creme Moisturizer . One of the best features of all the Truly Relaxed products is the scent - it's clear, fresh and slightly sweet (it contains coconut and jojoba oil) but never overwhelming. If your hair and scalp are very dry or you're dealing with very cold temps, I recommend using the Moisturizing Shampoo. Similar to the original version I used years ago, this shampoo is very creamy, thick and concentrated, so no more than a cap full is needed - even if your hair is particularly thick or long. The shampoo felt so smooth and lightweight at the same time. I could immediately feel the softness of my hair and after rinsing, it maintained that softness with no greasy feel or residue. My hair and scalp felt hydrated, my hair felt clean - but not striped. If you have very fine hair, or hair that is not very dry, then the Lightweight Shampoo is perfect for your needs. 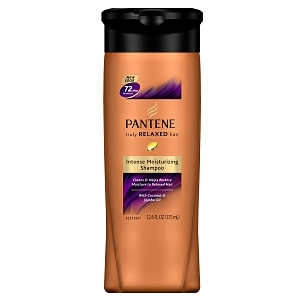 Next up: The Pantene Pro-V Truly Relaxed Moisturizing Conditioner. The conditioner was also very creamy and thick, but had a nice whipped airy feeling to it. It provided the perfect amount of moisture to my hair. This was also excellent for combing out tangles and after rinsing my hair was very smooth and had a great amount of shine. I finished off with the Oil Creme Moisturizer on damp hair, as directed (as a leave-in conditioner/hair treatment). This is very concentrated, so I would recommend starting with only about a dime's sized worth and add more only if your hair is very long and/or thick. I then either applied heat with a blow dryer or let air dry, but either way my hair remained very smooth and soft, with no frizz and great shine. There was no heavy, sticky or greasy feeling, so my hair had great "bounce" and movement when I was done styling. Using this system every week, I could definitely feel how much healthier my hair looked and how much less breakage I saw. 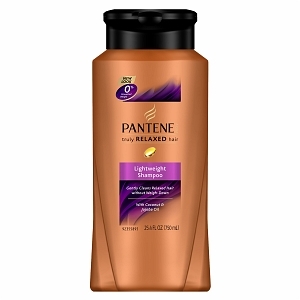 *These products were provided courtesy of Pantene PR for reviewing purposes.